Use a coordinating set of bottle caps. 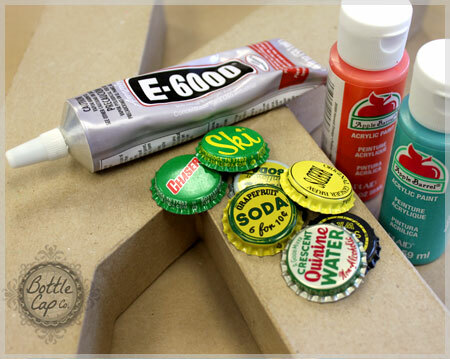 I used our Yellow & Green Vintage Bottle Cap Package. 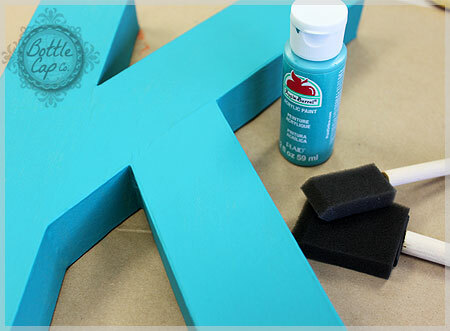 Paint at least two coats so that the material of the letter doesn't show through. Lay out the bottle caps on the letter so you know how many you will need. I decided to bend about 25 of the caps to use along the edges of my letter. Let the gluing begin! 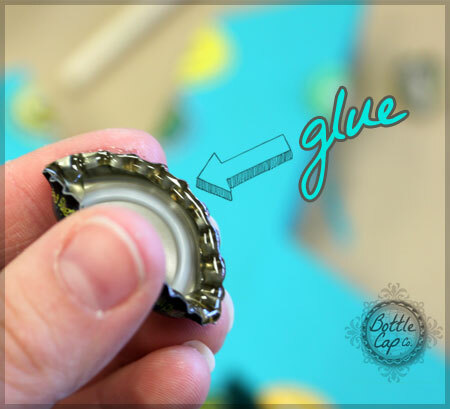 Apply the glue around the edges of the bottle cap. Have a couple paper towels around for wiping up any extra glue that oozes out. 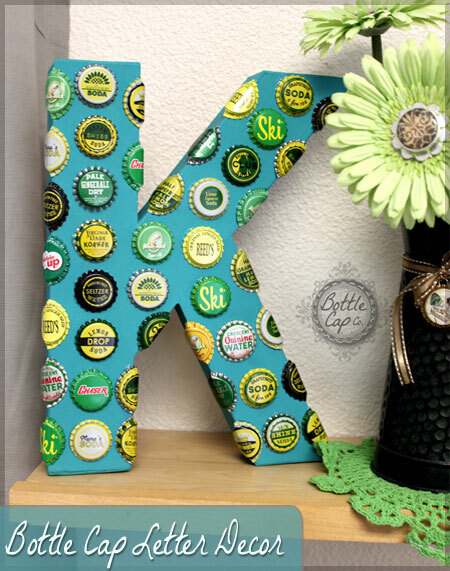 Display your newest bottle cap creation! Use your finished project as decor around your house, or make one for a friend! Try different display techniques with different letters. 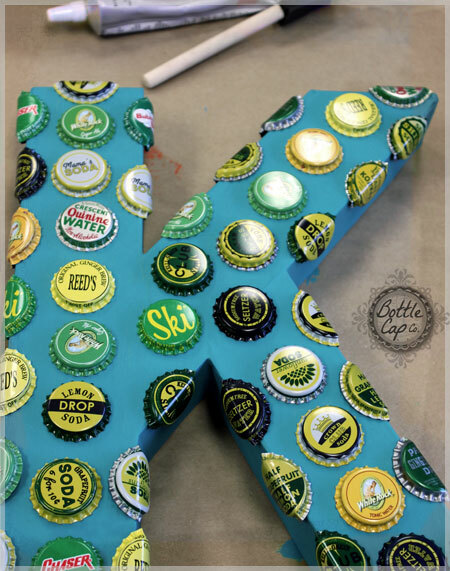 For example, if you used the letter "O" then you could put ribbon through the center and hang it on your wall. The possibilities are endless, so have fun with this project! How many lovely ideas!! !, love your blog!!! Thanks! We have lots of fun making the projects!